‘Rendering justice within a reasonable time is crucial in attracting investments. Today, there is much legal uncertainty as courts take years to resolve cases,’ European Commission vice president for jobs, growth, investment and competitiveness, tells Kathimerini in an interview. “Trust is like oxygen – you notice it only when it is running out.” This is the metaphor used by Jyrki Katainen, European Commission vice president for jobs, growth, investment and competitiveness, to underscore how important trust is for investors – when it comes to investing in a country like Greece. “For the current and next Greek government restoring trust is essential,” the former prime minister of Finland told Kathimerini in an interview urging officials to maintain the momentum of reforms and stick to the agreed measures. “It is clear that the burden of taxes and social contributions on businesses and in particular low-income earners is higher in Greece than in other member-states, while the tax bases are relatively thin,” Katainen said, stressing that a growth-oriented tax reform – which after all Athens has committed to – will make the country more attractive to investors. 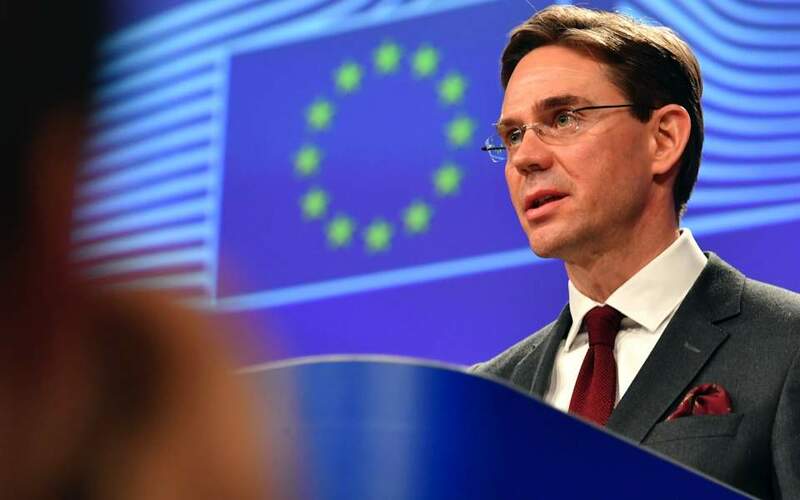 Katainen is visiting the Greek capital for a two-day conference on employment, investment and entrepreneurship on Tuesday and Wednesday at the Athens Concert Hall, organized by the Commission’s representation offices in Greece. Startups, innovation, the AI economy, new forms of employment: Can Europe lead the way in these sectors? What about countries like Greece? How will they affect it – if they do? Like electricity in the past, artificial intelligence is transforming the world. Together with member-states, we will increase investments for rolling out artificial intelligence in all sectors of the economy, support advanced skills and maximize the availability of data. We have put forward a dedicated action plan, which will ensure that Europe reaps the benefits of artificial intelligence for citizens and businesses and competes globally, while safeguarding trust and respecting ethical values. As for innovation and the competitiveness of our businesses and startups, they are at the heart of our growth and jobs strategy. In our proposal for the next long-term EU budget after 2020, we strengthened the focus on investment and stepped up our efforts to further make Europe an attractive place for investment and for businesses to settle and thrive. In late 2014, we put in place a unique Investment Plan to support investment across the EU, together with our strategic partner, the European Investment Bank Group. 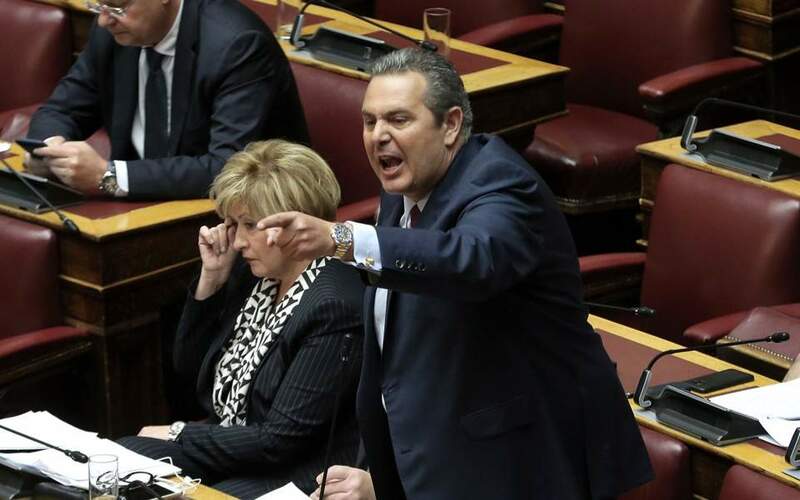 This has been a large success, and Greece is currently the number one beneficiary. We proposed to step up this model also after 2020 through the InvestEU Program, which aims to trigger at least 650 billion euros in additional investment in Europe. Alongside other instruments, like Cohesion Policy and the EU research program Horizon Europe, InvestEU will further boost the competitiveness of European businesses, innovation and job creation in the EU. Are you convinced now that Greece is really turning the page after its crisis? Is the end of the bailout enough by itself? In August 2018, Greece successfully concluded a three-year European Stability Mechanism stability support program, with its place at the heart of the euro area and European Union secured. The successful conclusion of the program is a testimony to the efforts of the Greek people, the country’s commitment to reform, and the solidarity of its European partners. The extensive reforms Greece has carried out have laid the ground for a sustainable recovery: This must be nurtured and maintained to enable the Greek people to reap the benefits of their efforts. Europe will continue to stand by Greece’s side. The Investment Plan for Europe has a key role to play in the competitiveness and the future of the Greek economy. I am very glad to say that Greece is currently the top beneficiary, with 11 billion euros in additional investments mobilized and almost 22,000 small and medium-sized businesses supported in Greece. This is great news and a proof that investors are interested in investing in Greek businesses. Greece has exited the third bailout program, but growth is weak and investments are not coming. 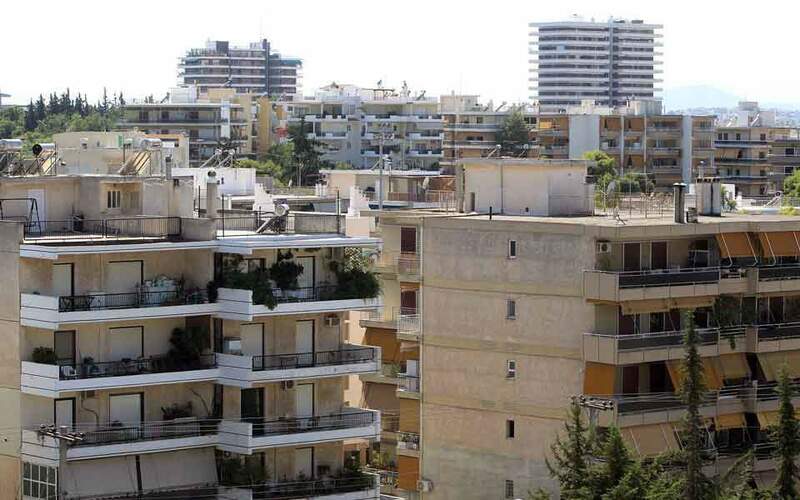 According to the latest projections by the Organization for Economic Cooperation and Development, the Greek economy is set to experience a slowdown in the next six to nine months – the same report ranks Greece among the countries with the highest tax loads. So, after the bailout, what? After almost a decade of contraction and stagnation, Greece’s economy started to grow again in 2017 and growth is expected to have accelerated further in 2018. The expansion is projected to continue at around the same pace, or even slightly faster. It is true that risks have increased lately, because of the possibility of a slowdown in the global economy, and in the EU in particular, which would not have Greece unaffected. However, given the recent reforms and the export structure of the Greek economy, the effects of a temporary slowdown may be muted, especially if the reform momentum is maintained. The overall tax load in Greece is broadly in line with the rest of the euro area, but as is often the case, the devil is in the detail. It is clear that the burden of taxes and social contributions on businesses and in particular low-income earners is higher in Greece than in other member-states, while the tax bases are relatively thin. Greece has committed to adopt a growth-friendly tax reform in 2020, which should tackle these issues forcefully to make Greece an attractive place for investment again. This will be a major point on the agenda for the next government. We look forward to the debate. You have repeatedly expressed the view that reforms are as vital as economic stimulus. Have the bailout reforms in Greece improved the business climate? Are there still obstacles that need to be tackled? Also, what kind of investments does Greece need? Greece has undertaken key reforms in the last years and others are under finalization. For example, the completion of the cadaster, for which the EU provided significant funding. Another example is the simplification of the business registration process. The most challenging part is the speed of reform implementation. In addition, rendering justice within a reasonable time is crucial in attracting investments. Today, there is much legal uncertainty as courts take years to resolve cases. There are many innovative sectors where Greece is lagging behind its EU partners in terms of capital stock, for example in telecommunication and ICT. But also more traditional sectors would greatly benefit from public and private investors. For example, transport and logistics, urban regeneration, energy and the environment have a great potential and should be prioritized. Here again, the Investment Plan has an important role to play. Lack of trust is hurting the Greek economy. Is it linked to the fact that Greece will hold elections in 2019, or is the government sending the wrong signals to investors? How can trust be restored? Trust is like oxygen – you notice it only when it is running out. Trust is the basis for healthy economy. It can only be gained or restored through consistent action: setting up a plan to do what is necessary and sticking to it, being predictable. That is what the investors are looking for when deciding where to put their money. For the current and next Greek government, restoring trust is essential. Therefore my only advice to them would be to keep to the agreed reform programs. Ultimately, the restored trust will pay off for the Greek citizens in terms of increased investments, growth and jobs. The European Commission is supposed to help Greece with the creation of a National Development Bank. What is the main goal of this bank and how can it help investments? The main goal of the National Development Bank is well spelled in its mission to “support enterprises by financing their needs throughout their entire lifecycle and promote the economy and the business environment in Greece.” It can help investments in many ways, including enhancing access to finance, encouraging equity investments, targeting financing for innovation, promoting investments in infrastructure, supporting small businesses and helping them expand beyond their local markets. To finance its substantial investment gap and boost competitiveness, Greece needs significant investment initiatives, also aimed at facilitating the attraction of foreign funds. Companies need to invest in capital equipment to be competitive and export their production, improve external balance and make Greece’s economy more open. The European Commission, via the Structural Reform Support Service and external advisers such as the French development bank BPifrance, is working to support the Greek authorities in their efforts to create a development bank. The key deliverables are on track and initial work is expected to be finalized soon. 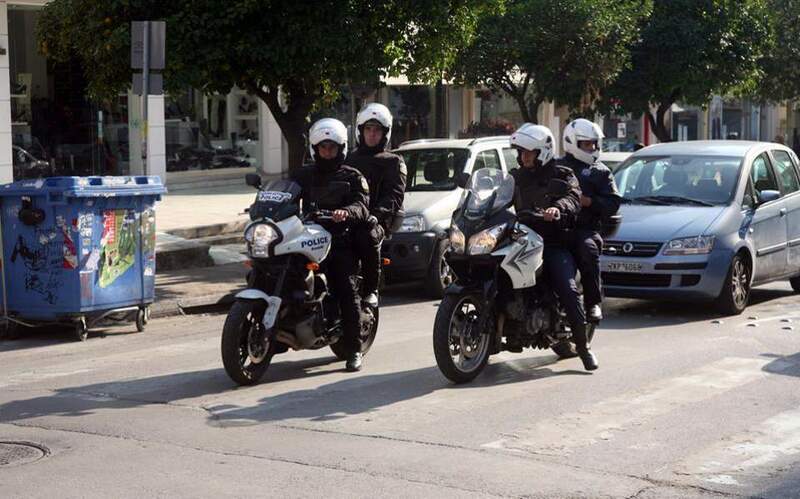 The European Commission will also support the Greek authorities during the implementation phase.